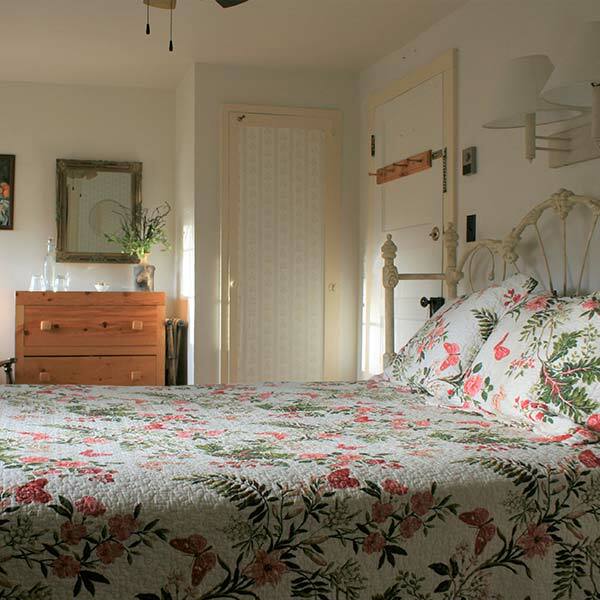 All 4 of our B&B rooms are located in the Main Lodge and feature great views and private baths. 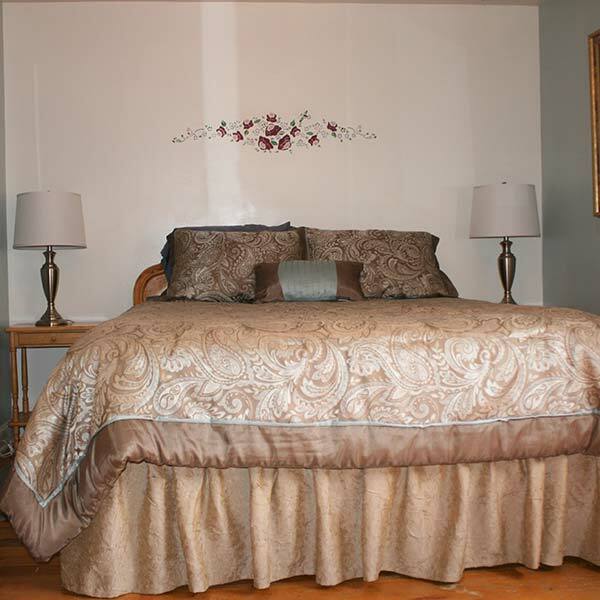 Rates are for double occupancy, singles deduct $10/night. Breakfast is available for room guests only. 1 king, private bath with jetted tub for 2. 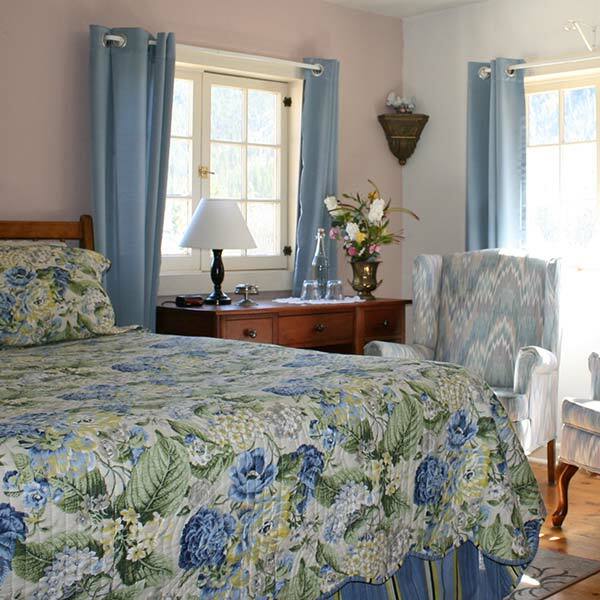 Our largest room, Mount Massive has the best views looking east down our valley and south at Rinker Peak. 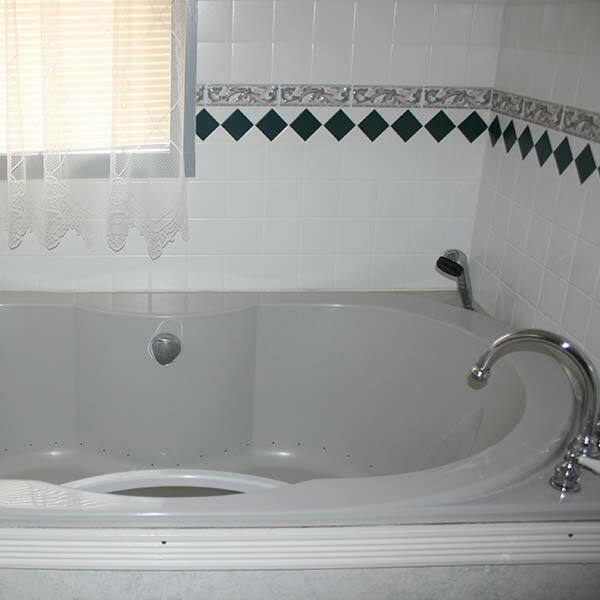 1 queen bed, private bath with jetted tub for 2. 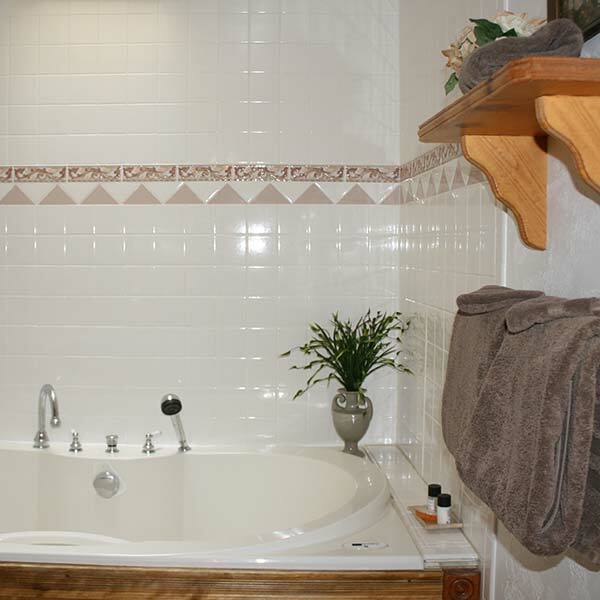 Relax your muscles by enjoying a soak in your private jetted tub, La Plata looks down on a small courtyard and out up the valley. 1 queen bed, private bath. 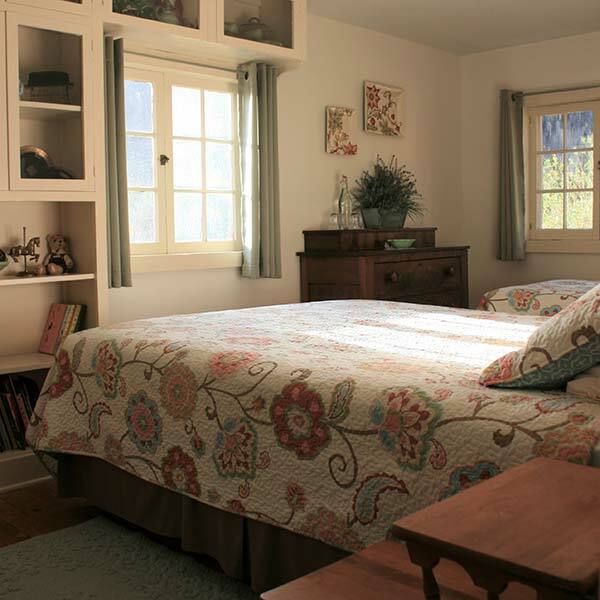 Enjoy the morning sun as it streams through the east windows of this cheerful room. Your mountain views here are of Twin Peaks and Rinker Peak. 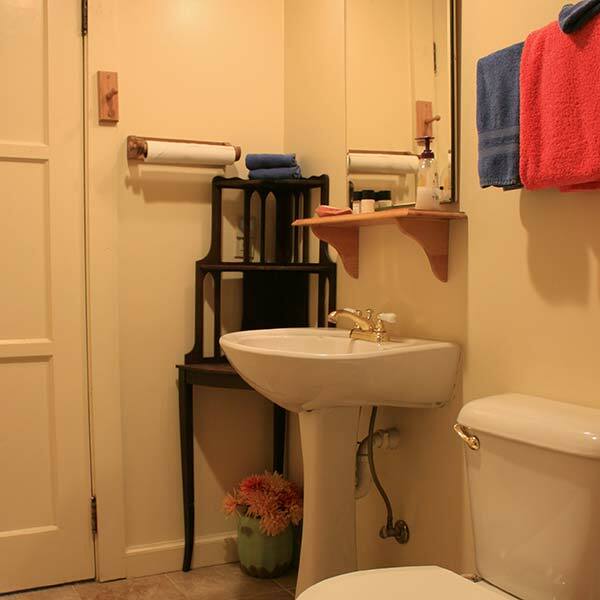 Queen and Twin bed, detached private bath. Twin Peaks has views to both the south and the east, great for star gazing or enjoying the sunrise. If you add a 3rd guest, the rate is $142. 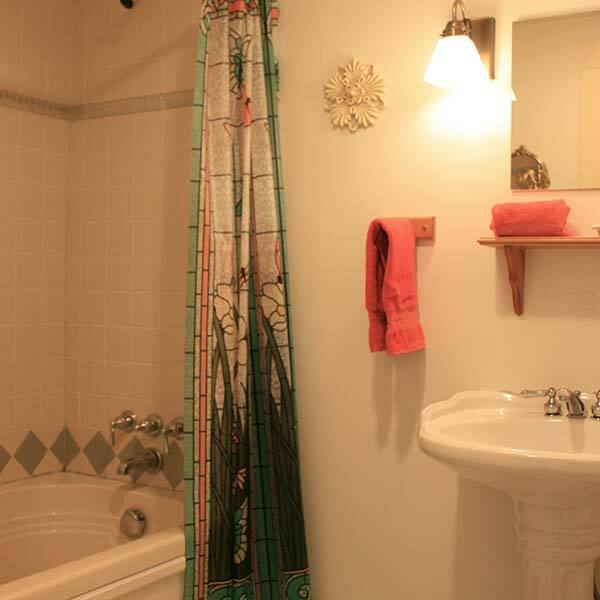 Queen and Twin bed, detached private bath. Twin Peaks has views to both the south and the east, great for star gazing or enjoying the sunrise.